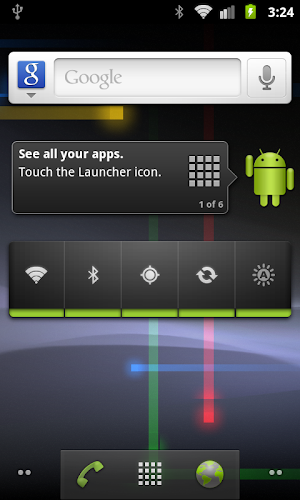 This is a fast, stable, and clean ROM compiled from the source code of Google's AOSP stock Gingerbread for Nexus One (GRJ90 / Android 2.3.5), optimized for HTC HD2, and released on Aug. 26, 2011 by tytung. You can also find the SD version for Windows Mobile 6.5.
and has some modifications as follows. remove Japanese and Chinese IMEs (removed OpenWnn.apk and PinyinIME.apk), etc. Use CWM (ClockworkMod) Recovery, providing the native Android update.zip installation and Nandroid backup and restore, to backup and/or update your system easily and safely. 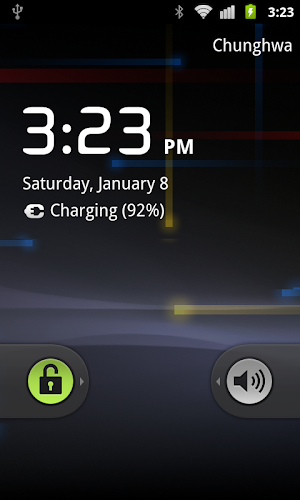 It's about 3~5mA battery consumption on standby when turning on WiFi, Bluetooth, GPS, and Auto Sync settings. This ROM is better than NexusHD2-Froyo now. Enhance your speaker volume by installing Volume+ v1.7.x. How to keep data when migrating from V3.0 SD build to V3.0 NAND ROM. You should have either MAGLDR 1.13 or cLK 1.4.0.1 bootloader on device. Installing CWM_Recovery_for_NexusHD2 (135MB system and 2MB cache) to create a space-efficient NAND partition layout designed specifically for NexusHD2 series is highly recommended if coming from another ROM. For Android installation you need to enter CWM Recovery. CWM: install zip from sdcard: navigate to NexusHD2-Gingerbread_V3.0_NAND_(Android-2.3.5).zip to finish the Android installation. Run ROMUpdateUtility.exe to flash MAGLDR 1.13 (magldr.nbh). Enter MAGLDR 1.13 by holding power key while booting the phone, and then select "USB Flasher" via "VolUp" and "VolDown". Confirm key is green "Call" button. Run DAF.exe to flash ClockworkMod Recovery 3.2.0.0 (recovery_3.2.0.0_leo.img). Enter ClockworkMod Recovery when you're on MAGLDR 1.13 (hold "Power" button during boot) and select "AD Recovery" or "Boot AD SD" (if ever copied CWM's initrd.gz and zImage to SD). Run CustomRUU.exe to flash cLK 1.4.0.1 (RUU_signed_cLK_1.4.0.1_system_135_cache_2.nbh). Enter fastboot mode by holding back key (left arrow) while booting the phone. Run fastboot_install_recovery.bat to flash ClockworkMod Recovery 3.2.0.0 (recovery_3.2.0.0_leo.img). Enter ClockworkMod Recovery by holding home key while booting the phone. Flash some add-ons below if needed. Optional. Flash it only when you install too many apps and the internal memory (i.e. data partition) is out of space. If you ever enabled Apps2SD+, you need to flash it every time when upgrading the ROM. You should flash stock official Windows Mobile 6.5 ROM. Cotulla, TYTung, Hastarin, Markinus, Letama, Rajko, Gauner, Diem, Dan1j3l, RaiderX303, Pongster, Gpc, Cedesmith, Arne, Trilu, Charansingh, Seadersn, Arif-ali, Mdebeljuh, Jdivic, etc. Please consider making a donation to Cotulla for his great MAGLDR. Please consider making a donation to Cedesmith for his great cLK. And if you appreciate my work and want to buy me a drink, please consider making a donation too. This section is reserved for everyone. If you can provide any new features via a flashable update.zip for CWM Recovery, I will place your name here. The description is a must when you provide a file. I don't test each add-on myself, please backup your current system before installing any of them.